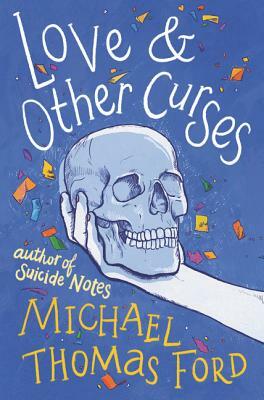 Michael Thomas Ford is the author of the teen novels Suicide Notes and Love & Other Curses. His numerous other works for both adults and teens include some of the earliest books about the HIV/AIDS crisis and several books about the LGBTQ community. His novel Lily was a Tiptree Award long list title and a finalist for the Lambda Literary Award and the Shirley Jackson Award. He also authors a series of novellas starring some of the most popular contestants from RuPaul’s Drag Race, including Sharon Needles, Manila Luzon, and Jinkx Monsoon. He has a lot of tattoos and dogs and a beard.